Google Glass may be hip and trendy among select technology enthusiasts but there's no denying the hi-tech eyewear carries a bit of a social stigma. That's because current iterations of Glass aren't exactly trendy and stick out like a sore thumb. Good news is on the horizon, however, as Google recently received a new patent for a set of spectacles that look much more tame and traditional that today's Glass. As outlined by the crew over at Glass Almanac, US Patent D710,928S was granted to Google engineer Mitchell Heinrich on August 12. 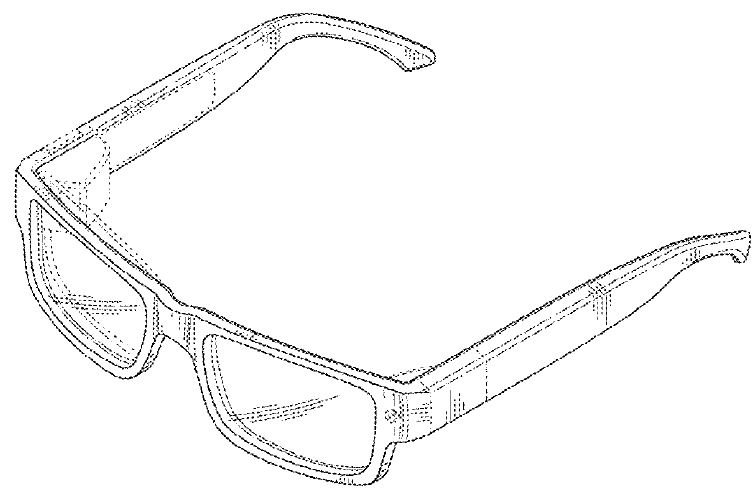 It describes a "wearable display device" and is accompanied by sketches that show an ordinary set of glasses with what appears to be a transparent display on the inside. That's far different from what we've seen thus far as current versions of Glass feature an external projector. It's a seemingly subtle move but I suspect it would make the wearable much less obtrusive and more enjoyable for Explorers to wear out in public. Heinrich is no stranger to the US patent office. Along with Isabelle Olsson, the two have amassed more than three dozen patents during their time at Google. Even with a new design, however, Google is still tasked with overcoming the myriad of privacy issues already associated with Glass. Much like self-driving cars, if Glass does catch on like Google hopes, it'll force our society to adapt and come up with an entirely new set of rules and regulations.